An estimated 4,000 Church members were in attendance at last night's Dodger's game. The event, known as "Mormon Night," is the longest-running community event held by the Dodgers, and has gone on for more than 25 years. Elder David A. Bednar was on hand to throw the ceremonial first pitch. 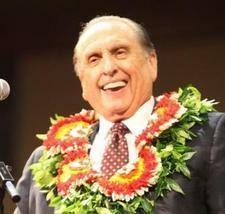 He joins six other living apostles who have had this same honor. Last year, Elder Jeffrey R. Holland threw the opening pitch. Also part of the game's opening ceremony was beloved LDS actor Kirby Heybourne, who sang the national anthem.